One President was particularly enraptured. 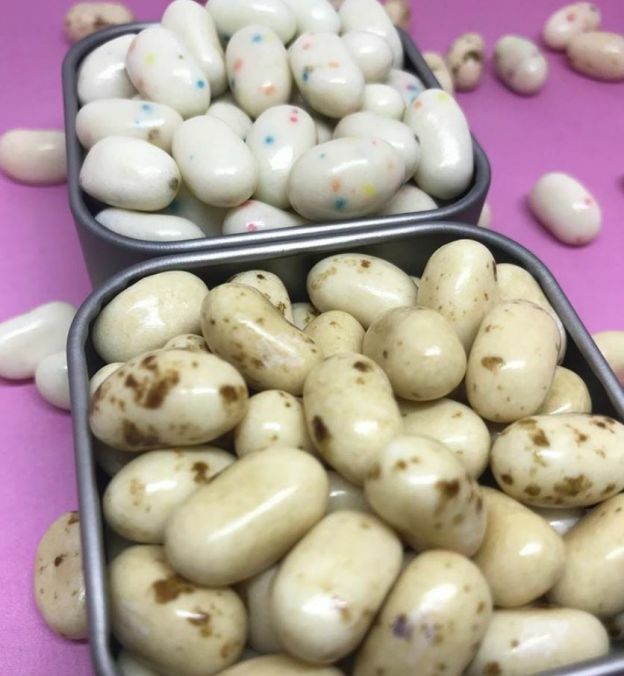 This iconic candy sparked our curiosity, so we perused the Jelly Belly Candy Company's website to find out more about these magic little jelly beans. What we found was so surprising and fun that we decided to share it with you! President Ronald Reagan was crazy about jelly beans. He even wrote fan mail to the company to talk about his love of the candy. Because there were not yet any blue beans, Jelly Belly created their blueberry-flavored bean in 1981 so that Reagan could have red, white, and blue beans for his inauguration. In 1983, the President even sent Jelly Belly beans into space! At Reagan's Presidential Library in Simi Valley, California, there's a portrait of him...made of 10,000 jelly beans. Very Cherry is one of Jelly Belly's eight original flavors, and it's the most popular one. Buttered Popcorn, introduced in 1989, is the second most popular flavor. Boxes of Jelly Belly jelly beans contain "recipes" for recreating popular desserts and drinks using only their jelly beans. Such recipes include banana bread, blueberry pancakes, and even Italian biscotti. If you throw out the box, you can always check their website. 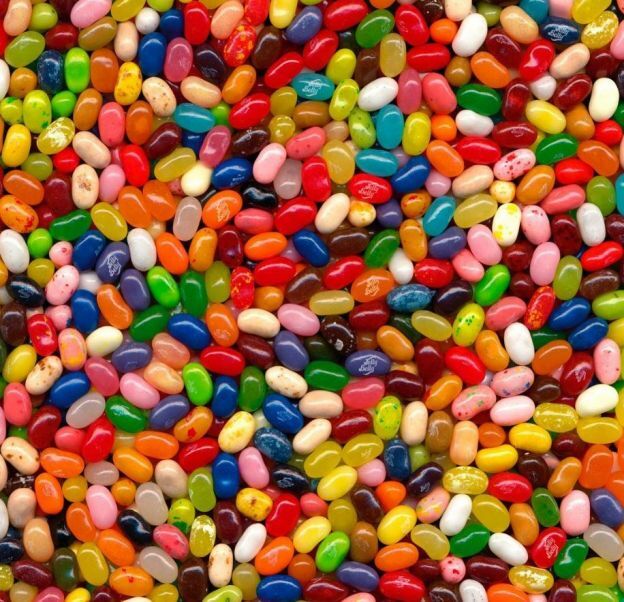 Making jelly beans requires patience—it can take up to 21 days to make a single bean! In 2005, the company introduced their "Sport Beans," jelly beans designed to replenish carbs for high-performance athletes. Although you probably have great ideas for new flavors, the company cannot legally "solicit ideas from outside the company." New flavors are chosen through rigorous tests, and best of all, a tasting party for employees! The company takes their name from American blues artist Huddie "Lead Belly" Ledbetter. Hungry for more? Check out The Best Easter Candy, Ranked.